Sylvia Chave is a mother of four who lives in a small town outside of Saskatoon. 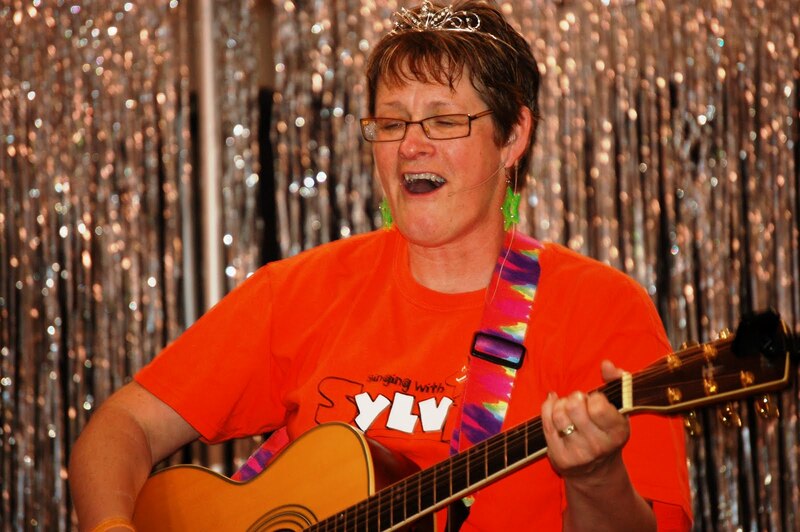 While Sylvia has worked as a daycare operator, a librarian and a teacher's assistant, her true passion is performing. 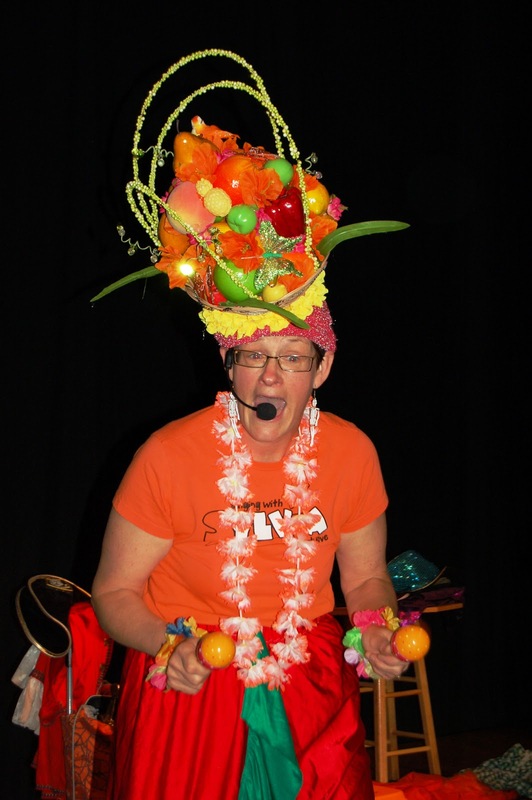 Now that her children are grown, she is following her dreams touring across Saskatchewan and neighbouring provinces entertaining crowds with her interactive one-woman show. Check out Sylvia's latest Marchmallow Treat concert series coming in March 2013. After witnessing her engaging charm and wit for yourself, you may want to take home one of Sylvia's CDs, now available through her online store. Sylvia's Renji Penji CD is packed full of fun lyrics and catchy musical hooks. Tunes like "Sandbox Shimmy," "See You Soon Baboon" and "I Yi Yi" are sure to stick in your head like bubble gum in your hair. There's also the Surprise CD by Prairie Patch, the children's performance duo through which Sylvia got her start. 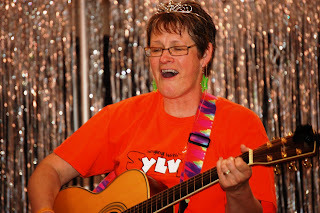 This CD -- which was nominated for the Prairie Music Awards Best Children's Album of the Year -- offers kid's-eye views on important subjects like pirates, rainbows and stinky feet, and sets them all to singable melodies. Her bluesy rendition of "My Baby," can be appreciated by parents of little ones everywhere. When your baby eats "crayons for breakfast," "Kleenex for lunch" and "cat food for supper," you might as well sing about it. Click here and again on "Singing" to hear music clips and watch videos. As Sylvia sings in "Summertime," "Hold on to your smile, it could grow a mile...."